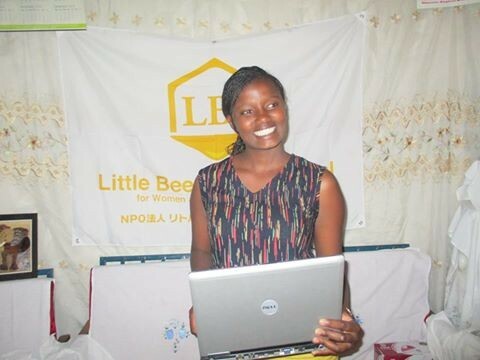 Jane, LBI Intern, received laptop for supporting her research and study at University. She got the best score for KCSE (Kenya Certificate of Secondary Education) at her high school even though she is from poor singly mother family. Her education environment was so terrible that she could not access to electricity and appropriate textbooks and school stationary sufficiently. However, she never gives up her dream to enter University and her dream is coming near her with her effort. Hope this laptop will be a good tool for her study.